Has anyone seen/shared information about whether or not the 3D Touch Previews in iOS Mail register as an open? We're using MailChimp, sent an email, had someone use only the preview, and (so far) they are not in the opens CSV. Did some Googling but not seeing anything pop up. I haven't tested 3D Touch yet. 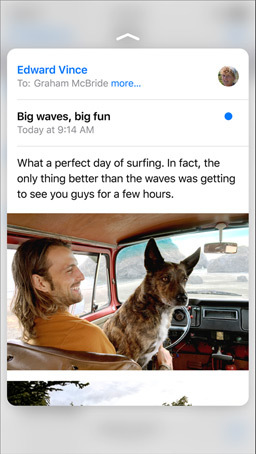 But from Apple's own site or from video reviews like TheVerge's, it seems that images are displayed when using 3D Touch. So I guess this will count as an open. Well, they don't register as 'read' in the inbox... I assumed they don't count as opens. I haven't tested it myself. I have a sneaking suspicion that it will take a while for users to start adopting these new 3D touch gestures. I say this because I have a new iPhone and I keep having to consciously make an effort to use them. I've not got my hands on one yet, but we have one in the New York office. And yes we're seeing opens tracked on preview.